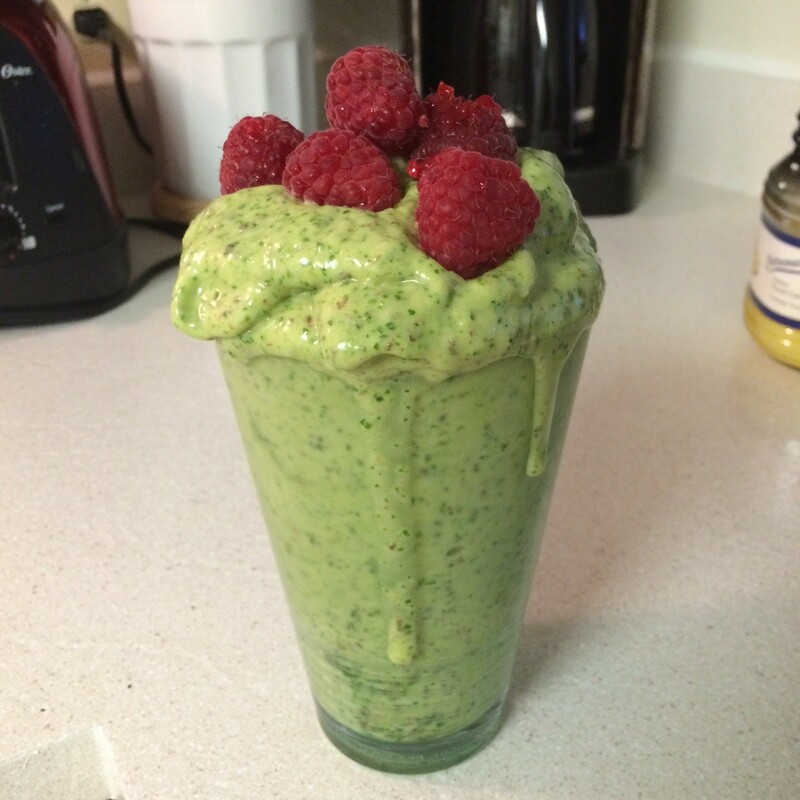 Good glorious fruits of unicorn rainbows, is this smoothie ever delicious. I made this first thing this morning and took a giant gulp from my straw and said “MOTHER OF GOD.” It’s so tasty that I don’t think I’d ever share it. MAKE YOUR OWN! This is MINE! I will retreat back to being 5 years old and have no issues with that. So what’s in this glorious milkshake of mayhem? All things healthy! And with 13g of fiber and 11g of plant-based protein you’re going to feel full and satisfied for a WHILE! I drank mine around 9am this morning and wasn’t hungry until around 3pm. It’s like drinking a milkshake for breakfast without the guilt (or the awful tummy aches) of drinking a real milkshake. Enjoy! And feel free to brag about the fact that you’re drinking homemade milkshakes for breakfast every morning and still losing weight! Sometimes the easiest way to stay on top of your game is to plan and pack your meals. Bringing a lunch, making overnight oats the night before, these are all great ways to look forward to food and what you’re going to eat. It keeps you from getting super ravenous and hungry that you want to give up or cheat and put everything in your face. I know it can take a little effort and is something to adjust to, especially if you’re used to going out to eat all the time or just grabbing whatever before you head out the door. Here’s a breakdown of what I’m eating today at roughly 1200 calories. Overnight Oats for breakfast – recipe coming soon! Portion out your snacks ahead of time. When I buy raw almonds or any of my favorite snack, I like to take time to make snack packs for either the week or with the entire package. With almonds, I portion out 15 or so (100 calories) into snack-sized ziplock bags. Then when I’m making lunch I can just throw them in or grab a bag on my way out the door for a snack later. Find ways to make healthy versions of meals you love. Just because you’re trying to eat healthier and change your lifestyle habits, doesn’t mean you can never think about cheese ever again! Find ways to make a healthier lasagna with whole wheat noodles or squash instead. Substitute lean ground turkey for ground beef. Use lettuce instead of burger buns. I recently found a great recipe for buffalo chicken wraps that I’m going to make with my Mom this weekend. They look delicious and will be healthy! Find creative ways to transport food. Mason jars are all the rage lately for storing salads (with all of the wet ingredients at the bottom and the lettuce sitting on top). They are also great for making overnight oats and smoothies and then you can just take them with you on your way to work or where ever you may go! Don’t make rules for what can be eaten when. I am guilty of this all the time. it doesn’t have to be breakfast time for you to eat eggs. Healthy food can be eaten at any time of the day. As long as you are getting great nutrients and feeling full you can eat cereal for dinner and a sandwich for breakfast. Don’t put limits on yourself. Make things easier. Buy a water bottle and use it. Keeping yourself hydrated is one of the most important things for maintaining energy, staying healthy, and fueling your body. Buy a quality water bottle for your home and office so you are always an arms reach away from drinking those 64+ ounces! 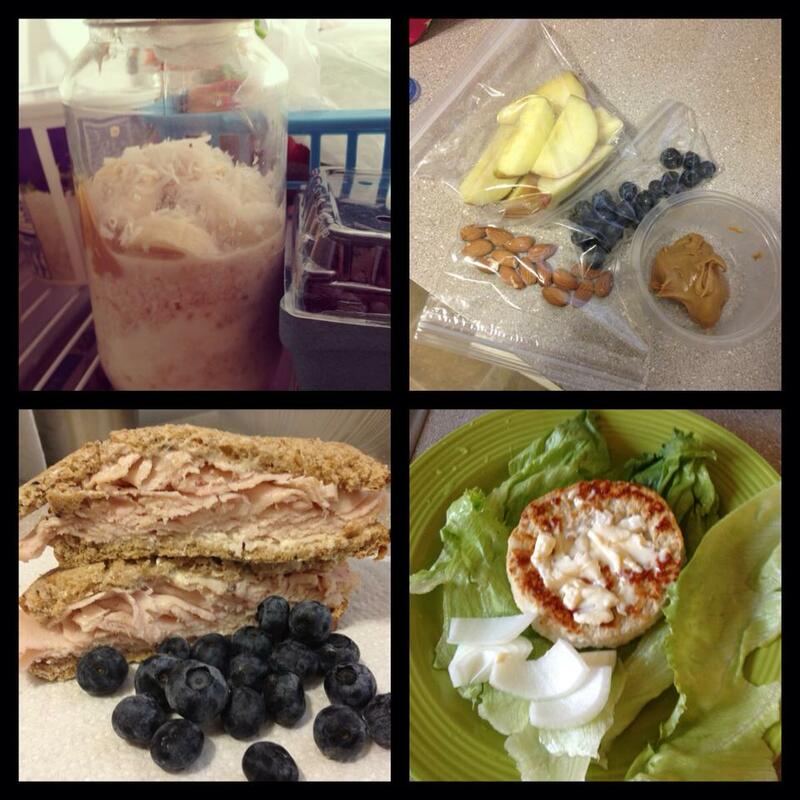 Plan meals and pack snacks that you’ll look forward to! Sometimes the hardest part about making healthy habits is feeling like you’ll never have good food to look forward to ever again – not true! Plan times for special meals and moments of indulgence to help keep you on track during the week. Knowing you get to have a glass of wine or a piece of pizza on Friday can help keep you focused and truly appreciate these foods and drinks when you do get to have them. Food doesn’t have to be an event. I’ve always felt like I needed to plan some elaborate dinner when I got home but the truth is, food is fuel and it doesn’t have to be the main event surrounding everything we do. It’s okay to get home and have a hodgepodge dinner of whatever you have around the house. Choose foods that come in their own container. Foods you can throw into your lunch bag without worrying about more bags or containers are great. Make hardboiled eggs for the week and keep the shell on and then take them to work for an easy, protein filled snack. Apples, pears, oranges, avocados, yams, and other fruits are great for this, too! Ready to go foods like low-fat string cheese and greek yogurt are also easy to throw into your lunch (they can just become a little expensive if you’re always buying ready-made snacks). 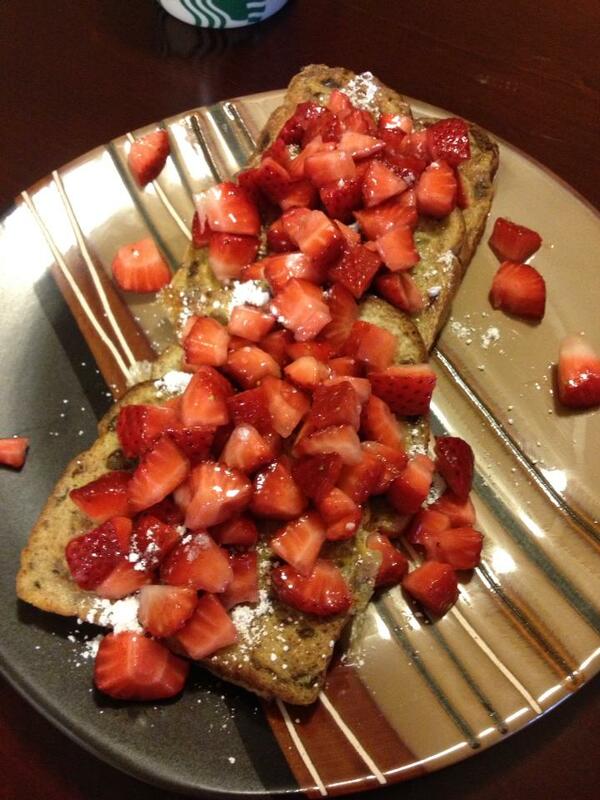 Healthy French Toast Under 300 Calories! Who doesn’t love French toast on the weekend?! I’m always trying to find sneaky ways to still eat my favorite foods. I created an easy French toast recipe that will leave you full, satisfied, and not even missing the syrup! And VOILA! 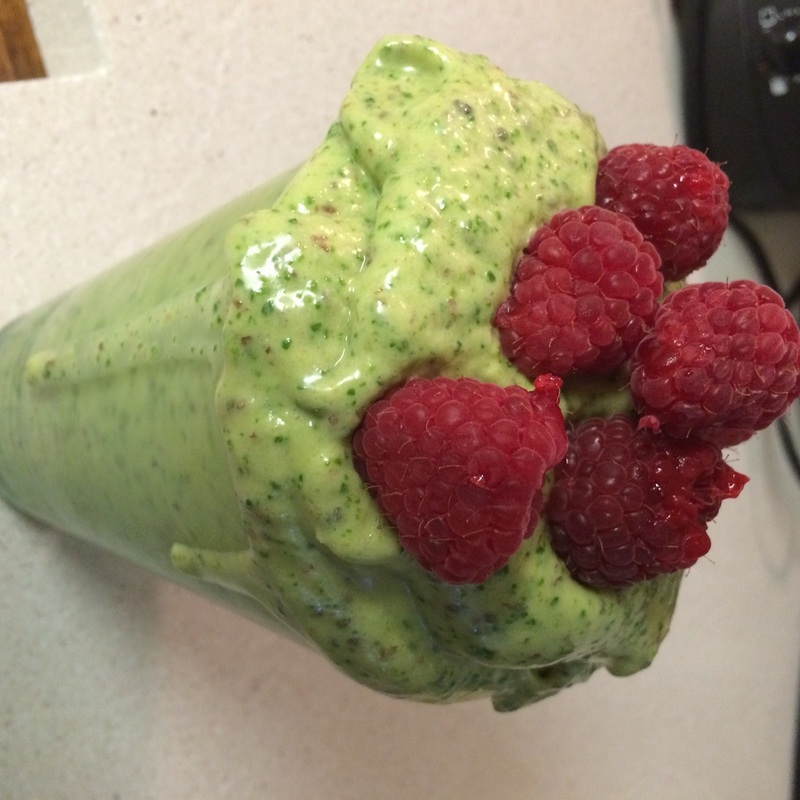 You have an amazing breakfast you won’t feel gulty about at only 275 calories! Breakfast! Don’t you know it’s the most important meal of the day! But really, it is! Since when was cereal worth it’s weight in unobtainium anyway? I would love to be able to buy FiberOne or some of the other great fiber-rich cereals every week but $4+ for a box of cereal? I don’t think so! Shop the sales and get the best deal you can. FIBER! Even Sheldon on the Big Bang Theory knows the importance of getting your daily amount of fiber. I need to do a post on fiber soon. Fiber is digested slowly and helps stabilize and maintain your blood sugar level, this means you feel fuller longer and are less likely to have a sugar crash later and eat something you shouldn’t. I’d aim for at LEAST 5g of fiber in your cereal. It seems like the more fiber a cereal has, the more expensive it is. FiberOne has some great cereals with 12g. Be careful though, they also just came out with a new cereal that’s only 80 calories but it contains fake sugars that will only make you want to eat more later and sabotage your nutrition goals in general. Aim for 35-40g of fiber in your daily diet. The more you can get in the morning, the easier it will be. SUGAR – and by sugar I mean NO SUGAR. Aim for low low LOW sugar cereal. And make sure the sugars in it are true. I try to find cereals with 8g of sugar or less. Eat a high sugar cereal in the morning and by lunch you’ll wonder why you are SOOO hungry. 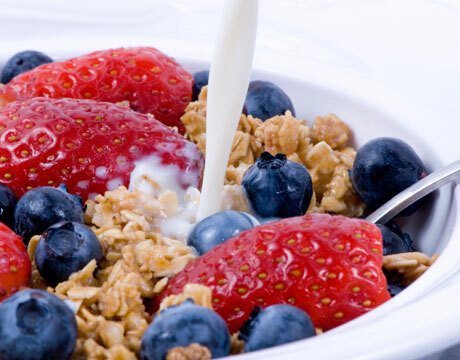 Here’s a great list of 10 great cereals with low sugar. PROTEIN – Protein in the morning is a great way to get your brain active and your metabolism revved up. More great cereals. 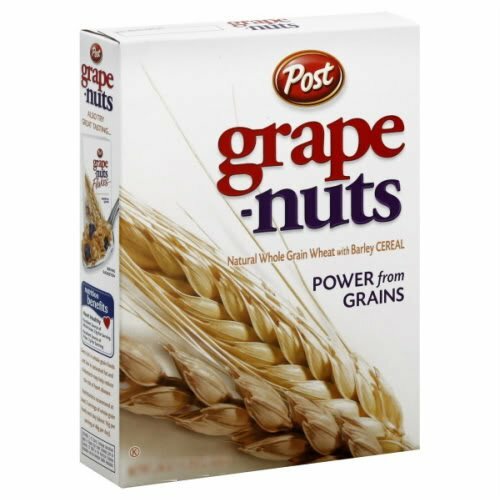 Some of my favorite cereals are a bowl of grape nuts with a sliced banana on top. Quaker oats makes a new cereal similiar to Cheerios called Whole Hearts. 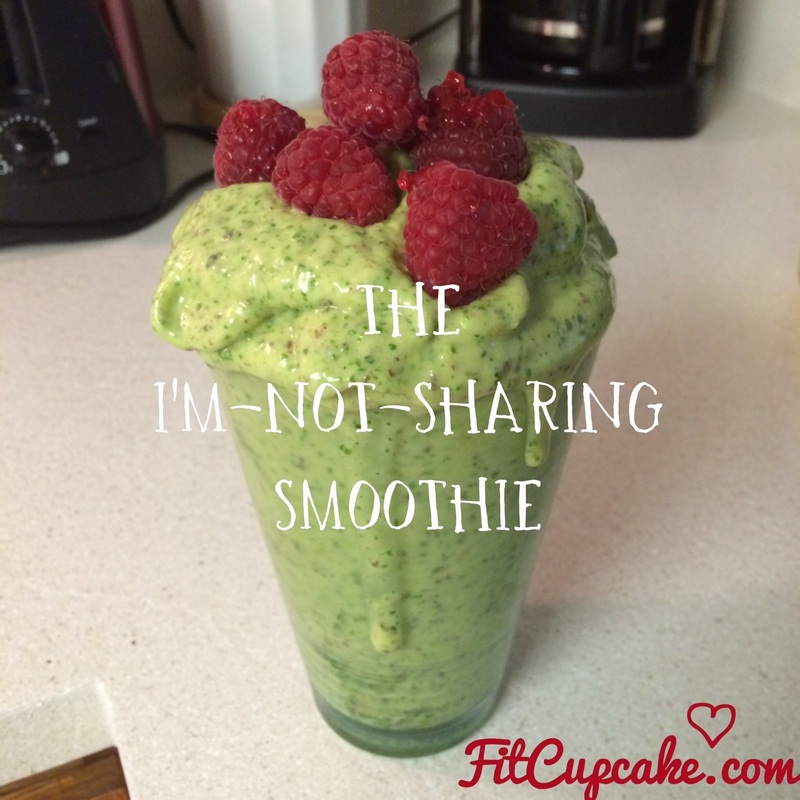 It comes in a red box and has 5.3g of fiber in 1cup. A little bit more sugar than I’d prefer at 10g but eating little heart shapes in the morning makes me happy. Most people seem to know this by now but sometimes I talk to people who just don’t eat breakfast and I’m surprised! Not only is breakfast the MOST important meal of the day (cliche, I know) but it helps rev up your metabolism and helps stave off hunger for the rest of your day. Eating a breakfast high in protein and fiber also helps regulate your blood sugar levels and keeps you from eating high calorie snacks and junk food later on in the day. But I’m not hungry in the morning! Trying to eat in the morning makes me feel sick! It’s one less meal I eat if I skip breakfast. I actually just don’t get hungry until lunch. If you’re new to breakfast right when you get up, give it a try. I always try to eat within an hour of waking up. Start with something small until your stomach gets used to it. Cottage cheese with fruit, a small bowl of cereal with almond milk, a whole wheat bagel with peanut butter. When I was a teenager I did the whole I’m-not-gonna-eat-thing and it wasn’t until my Mom MADE me eat breakfast every morning that I started losing weight, feeling amazing, and being in a better mood overall. Keeps you from getting super hungry later in the day and helps boost weight loss. Don’t worry about getting up and taking all this time to make eggs, toast, etc. Just EAT something! Not eating breakfast has you running on empty and can put you into starvation mode if you’re not getting enough fuel. Even if you don’t feel famished, your body is and it will find a way to get you to eat that donut if it’s feeling deprived. So tomorrow when you get up, make sure to fuel your body for the day and keep yourself on track! We all NEED to eat!